Lian Li is a name that means quality in the PC case industry. 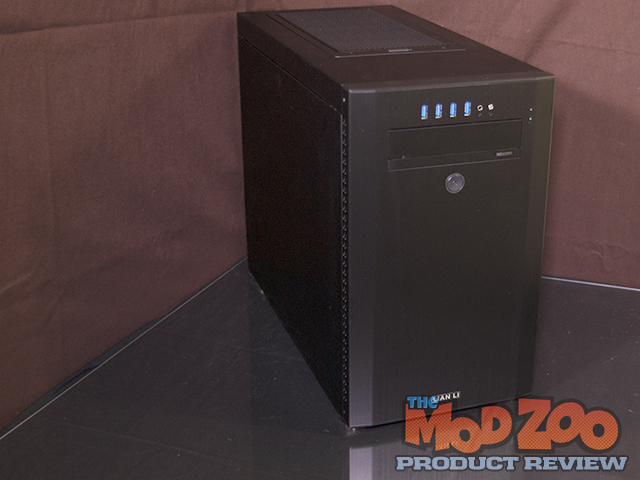 It’s not hard to believe that your hard earned money will gain you a quality purchase when you get one of their products, and the PC-A51B case is no exception to this. This will not be your usual style of review. I will be showing off the case and its various features, sure, but this time around, I’ll also be highlighting why this case isn’t a good fit for me. This is not at all a bad thing! Lian Li has designed the PC-A51B a bit differently than normal. First they positioned the PSU mount in the lower FRONT of the case instead of the rear, and then reversed the front and rear fans so they draw cooler air from the back and exhaust out through the front. The idea behind this is to get the coolest air to the CPU the fastest to allow the most benefit to cooling. However, I’m not convinced it really makes a difference with a well maintained system, and if you are water cooling, this won’t matter to you in the least. Let’s start off by highlighting the specs as provided by Lian Li. So, does this case live up to the hype and expectations? Let’s see. Not sure about PSU location, and your review illustrates it can be issue with ATX motherboards, but looks to be great design for ITX or MATX!